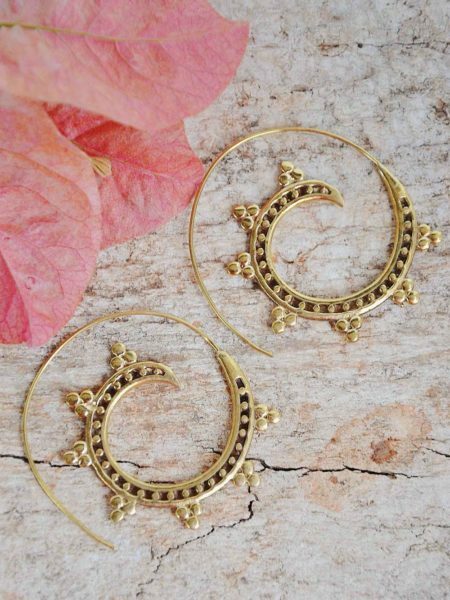 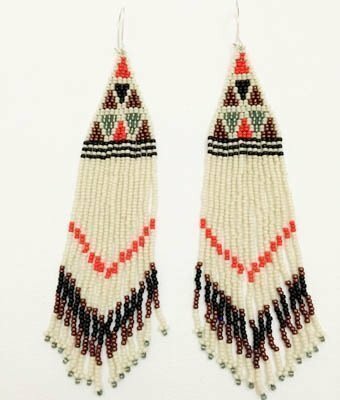 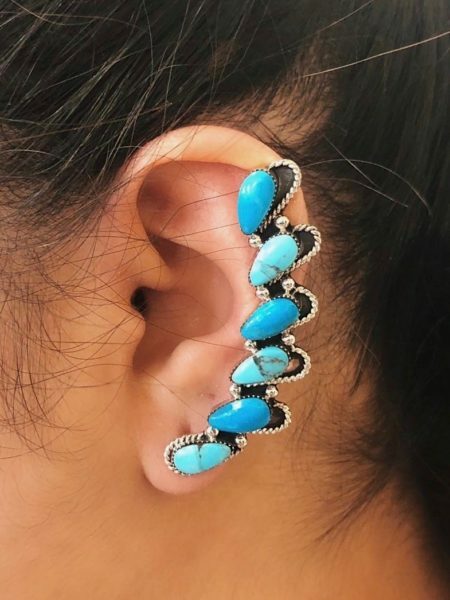 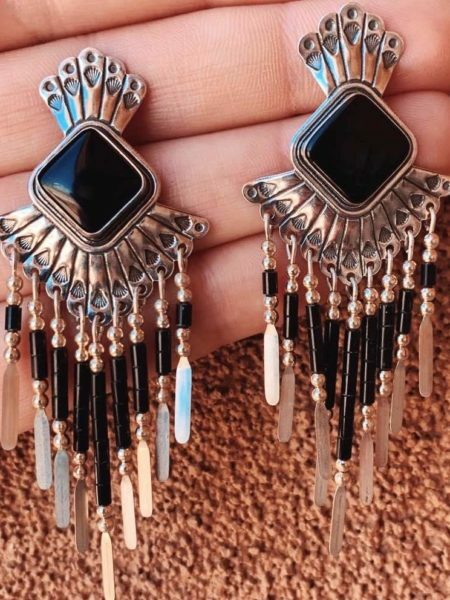 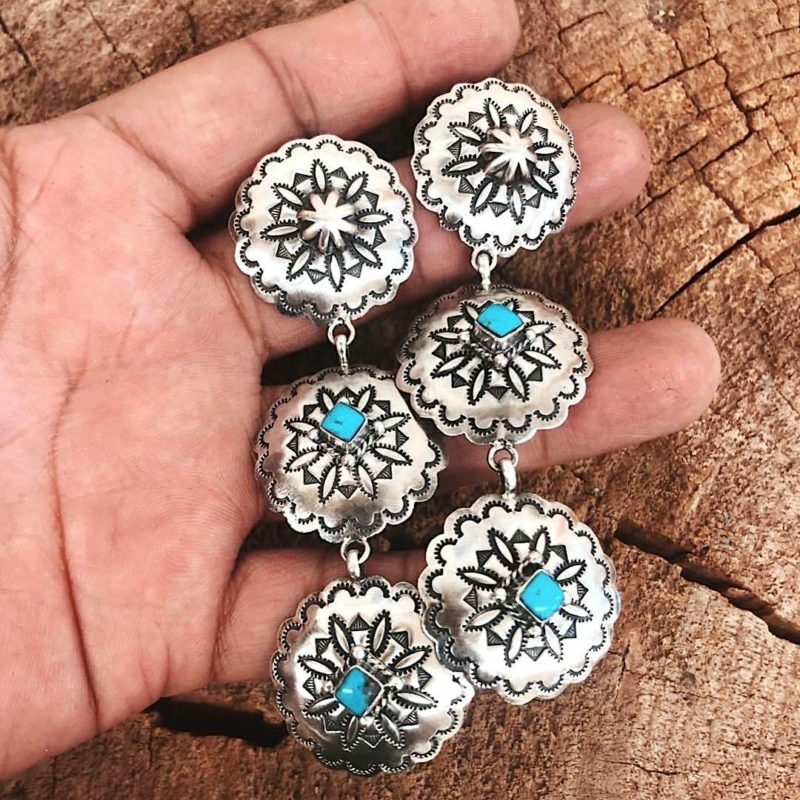 No need to choose between Concho Earrings or Dangle earrings cause with these babies, you get the best of both worlds! 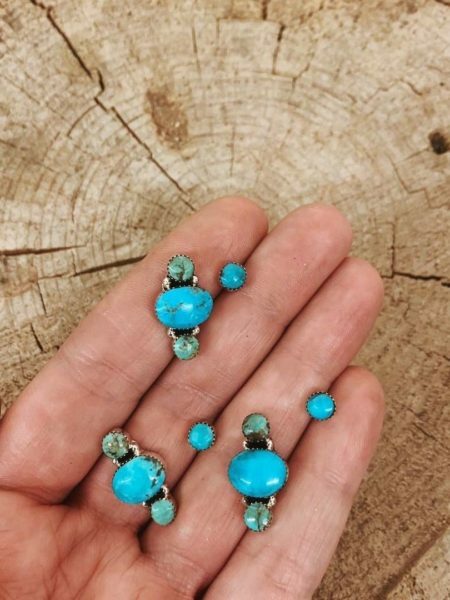 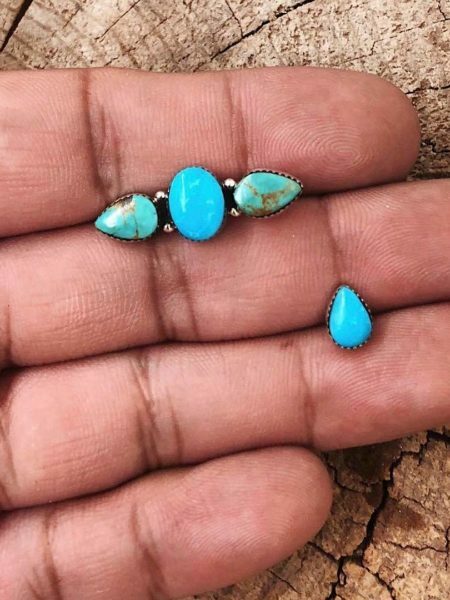 3 sterling silver, handmade and hand stamped conchos dangling from a post back stud with 2 beautiful, genuine Kingman Turquoise stones on each. 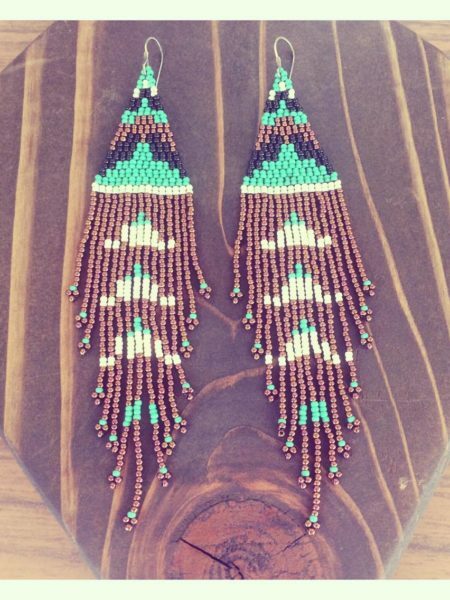 A decent weight so not necessarily for every day BUT they’re sure to make a statement when you bring them out!